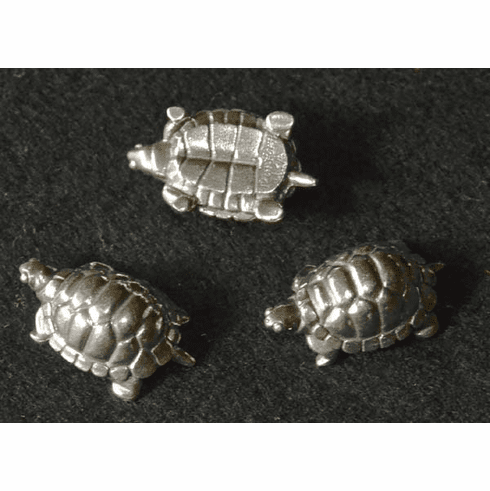 Turtle Trio, Set of 3 - Cast in Vermont of solid pewter our Turtle Trio is sure to bring a smile to heart of every turtle lover. Fun to place around your living area, work desk or keep in your pocket as a thumb rub. 1-1/4" x 3/4"